Is Tap Water Safe For Dogs To Drink — and Filtered or Bottled Water? Is Tap Water Safe For Dogs To Drink? How Safe Is Tap Water For Dogs? Is Chlorinated Tap Water Bad For Dogs? 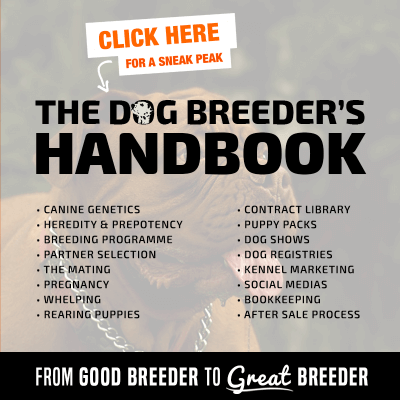 Whether you are a dog breeder or a simple household owning a cute family dog, knowing how safe is tap water for your dog to drink is essential. Tap water is safe for dog consumption if it is safe for human consumption. Being allowed to drink tap water does not necessarily mean that it is the best water your dog can drink; far from this. This is why in this article, we are comparing tap water vs filtered water vs bottled water for dogs to savor. They all have their pros, and cons, so it is a matter of personal preferences. How safe is tap water for dogs? This is not an easy question to answer, as there are different aspects that need to be considered in order to get the full picture. First of all, we have to take into account the contamination of tap water with harmful substances like organic chemicals, bacteria, viruses, heavy metals, and more. Secondly, water hardness can also be a potential danger to the health of dogs, which, strictly speaking, is not a form of water contamination. Last but not least, we shall not forget about water fluoridation, which is a measure that was introduced by the U.S. Public Health Service in 1951 to prevent tooth decay among citizens. Lead – When swallowed in high doses, lead can cause acute stomach pain, diarrhea, and vomiting in your dog. 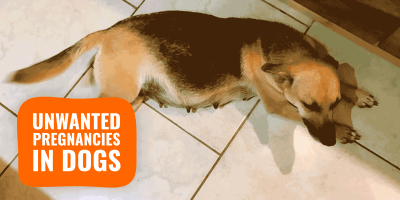 If exposed over a long time period, your dog might experience seizures, fatigue, poor appetite, extreme anxiety, blindness, and changes in behavior. E. Coli – There are different types of E. coli bacteria and most of them are harmless. However, from time to time dangerous strains are found in our public water supply systems. A dog infected with E. coli may show some of the following symptoms: lack of appetite, low body temperature, depression, increased heart rate, diarrhea, vomiting, malaise/weakness, and lethargy. Arsenic – Fortunately it’s rare that arsenic can be found in our tap water in alarming dosages. But if it is and your dog swallows too much of it, it might develop abdominal pain, become lethargic or even lose its consciousness. Pesticides – Pesticides are present in almost every water supply system in the U.S. They are used to kill insects, weed, and fungi that would otherwise destroy or damage the harvest. Long-term effects in humans through direct or indirect exposure are different types of cancer, infertility, birth defects, autism, and other major illnesses. Health effects on dogs have not been tested, yet. Magnesium and calcium are minerals that occur in water naturally. If water contains more than 17.1 ppm of both minerals added together, it is referred to as “hard water”. Trupanion, a veterinary medical insurance company, discovered that areas in the U.S. that are provided with extremely hard tap water (more than 240 ppm) have a “significantly higher risk of pets running into urinary health issues“, which includes tract infections, incontinence, cystitis, and crystalluria. High fluoride intake that’s associated with increasing health issues among dogs is a connection that has yet to be demonstrated. By the way, U.S. tap water contains 0.7 ppm of fluoride only. However the Environmental Working Group found that, depending on the brand, dog food may contain fluoride in amounts 2.5 times higher than the maximum legal dose in drinking water. In other words, before you rack your brain over fluoride in water, it’s more advisable to spend your energy on finding a trustable brand for fluoride-free dog food. Filtered tap water for dogs to drink is a great compromise. Tap water has too many risks while bottled water is definitely overpriced. Chlorinated water cannot only be found in your swimming pool. Bits of chlorine are intentionally mixed into the water running from your kitchen and bathroom tap, because due to its toxicity, chlorine is highly effective in killing pathogens. But if it’s toxic, is chlorinated tap water also bad for your dog? First, let me say that no scientific study has ever been conducted on the health effects chlorinated water has on pets, let alone dogs. 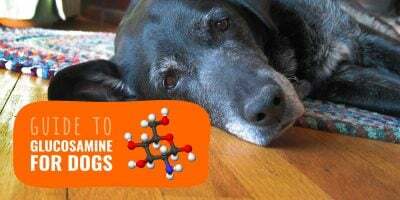 There is good reason, however, to believe that the health issues that chlorine causes in the human organism are similar to the issues it causes in our furry friends. The dose makes the poison, and that goes for chlorine, too. To identify a potential risk, it’s important to know how long and how often a dog drinks chlorinated water, and how much of it. In general, the halogen is considered safe in drinking water in the amounts used by municipal water companies that don’t exceed regulatory guidelines set by the federal government. But studies have also shown that water treated with chlorine is dangerous not for the chlorine itself, but for the disinfection byproducts that form, when it’s mixed with organic material. We all know what chlorine smells like. That’s because it’s a gas and, if inhaled, it can cause irritation of the airways, a sore throat, and cough. In more severe cases, inhaling chlorine can lead to chest tightness, wheezing, breathing difficulties, and bronchospasm. What’s more is that, as with many other substances, chlorine causes adaptation, meaning that once it’s in your nose, your ability to smell it gradually decreases. If you drink water with very high amounts of dissolved chlorine, you might experience burns to the tissues of your gastrointestinal tract. Regarding long-term effects, scientists could prove that the ingestion of chlorinated water is associated with an increased risk for bladder cancer in both men and women. If you buy expensive bottled water, which costs a hundred times more than regular tap water, make sure that it’s not just water from a public water source that was filtered and then filled into a bottle. Because that is – and there is really no other word for it – a complete ripoff. Instead, look out for sparkling or mineral bottled water, or, if you have the budget, go for spring and artesian water, which is the most natural type of water and usually contains zero harmful contaminants. And always choose a glass container over plastic, or if that’s not possible, at least go BPA-free. FYI: The drinking water standards for bottled water set by the FDA are even lower than standards, which regulate the quality of tap water. So definitely choose a bottled water brand that you feel you can trust 100 percent. The best scenario would be, of course, if the water is monitored and regularly tested by a third party. 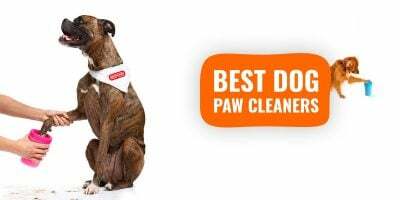 The alternative to bottled water – and it’s my personal favorite – is to serve your dog tap water that you’ve cleaned with your own filter system at home usually in the kitchen, or in the bathroom if you prefer. The advantages of filtering your own drinking water are evident. More than anything, if you apply the right filtration technology, the level of water purity you can achieve can only be compared to high-quality spring or artesian water that comes in a glass container. 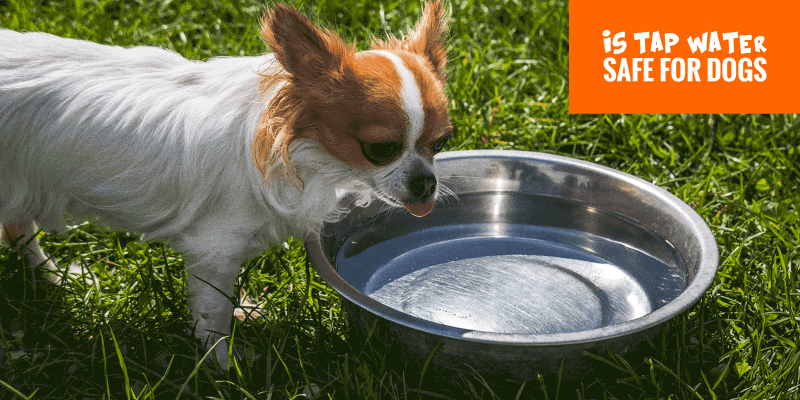 Chances are that your dog doesn’t like it as much, because the water has a very mild taste, but compared to plain tap water, it will definitely benefit his health, and that’s the priority. Second of all, to have access to clean drinking water, you don’t have to rely on your local water supplier or any other external party anymore and hope that they respect and meet regulatory standards. Not every filter system uses the same technology to clean water. The most commonly used technologies are distillation, reverse osmosis and mechanical filtration (microfiltration, ultrafiltration, or nanofiltration). Both a distillation and a reverse osmosis system provide drinking water of the highest purity. The two systems are able to remove bacteria, viruses, antibiotics, salts, flavors, and more. In case of mechanical filtration, a microfiltration system might be barely able to remove larger viruses, but definitely fails when it comes to antibiotics or ions. Ultrafiltration already does a better job, but a nanofiltration membrane has the smallest pores and delivers the best performance among the three. If you want to remove all harmful contaminants from your drinking water, I recommend you to go for a distiller or a reverse osmosis system. The best reverse osmosis systems can be found online at the most competitive prices. They are a tick more expensive than mechanical filtration systems that use activated charcoal to treat water, which is just more affordable, but it’s the only way to guarantee that treated water is contaminant-free. 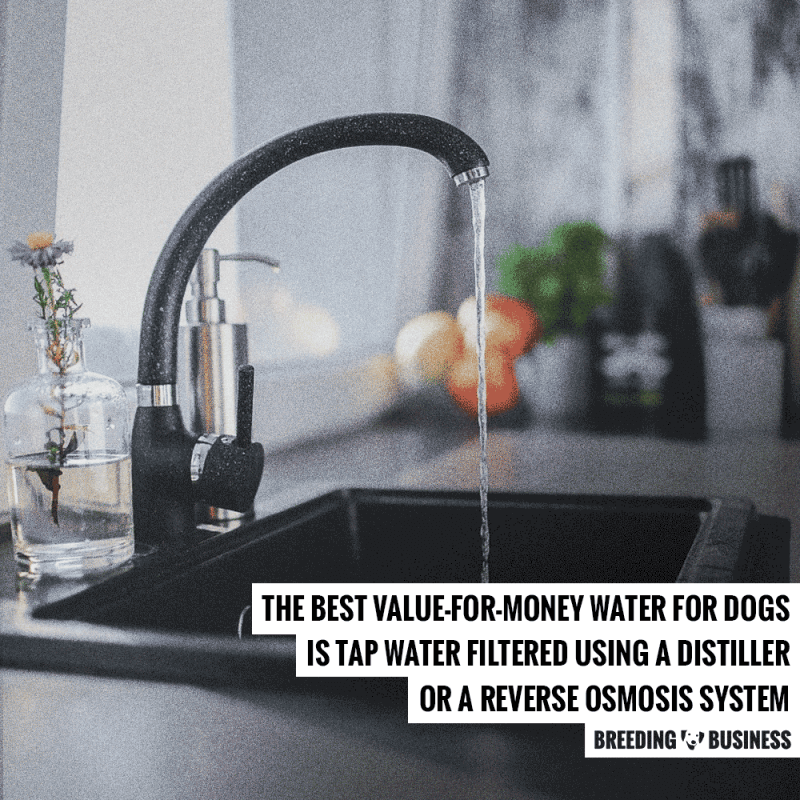 In terms of maintenance costs, reverse osmosis systems require annual filter replacements, which adds another $20 to $50 per year, in contrast to distillers that require almost no maintenance at all. On the downside, distillation means that water has to boil until it vaporizes, which is an energy-intense process and will add up to your electricity costs. If you use a water distiller in your household, expect that the system will be running a couple of hours each day. Charlize Burt is a recognized and certified teacher for environmental education. When she is not working in her daytime job, Charlize offers guided walking tours in woodlands and teaches the participants how to preserve the nature surrounding them for future generations. 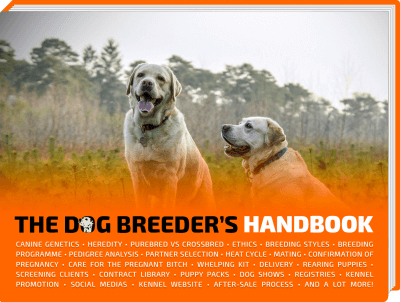 Dogs have always been part of Charlize’s life and over the years she has gathered vast knowledge on various topics regarding pet health. On particular weekends, Charlize and her husband visit the local animal shelter to take one of the dogs out for a relaxing stroll.